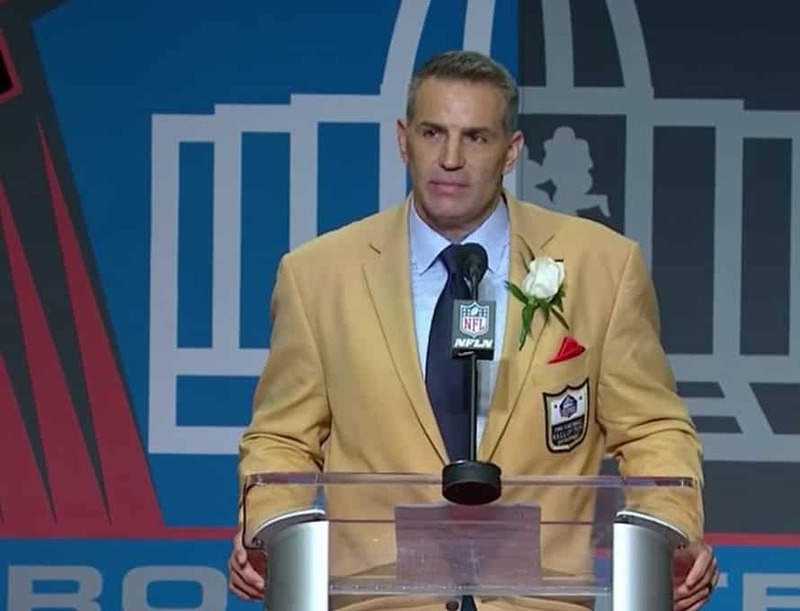 NASHVILLE (BP) – Kurt Warner’s faith in Jesus Christ is more than a personal, off-the-field commitment that had little impact on his success as an NFL quarterback. That’s the conclusion reached by Dan Bickley, a sports columnist for azcentral.com, as he wrote about the former Arizona Cardinal who was inducted into the Pro Football Hall of Fame Aug. 5 in Canton, Ohio. In the Rams’ Super Bowl win in 2000, Warner connected with wide receiver Isaac Bruce for a game-winning touchdown with less than two minutes remaining. Warner won the game’s MVP award after throwing for a Super Bowl-record 414 yards and made a strong statement about his faith in a post-game interview with Mike Tirico. “Kurt, first things first, tell me about the final touchdown pass to Isaac,” Tirico asked Warner. “Now, love it or hate it, that opening scene captured the imagination of the sports world, and the words became the heart of my story,” Warner said. “The rest, as they say, is history, bringing us to this: The famous last words, and the only place this extraordinary journey can end. Ted Kluck, author, sports columnist and assistant professor of communication arts at Union University in Jackson, Tenn., said he appreciated Warner’s strong and outspoken reference to his faith.